Very useful video by the Google Chrome Dev Tools guys. I've learned quite a few cool things I did not know. For anyone who has to suffer under the curse of Microsoft's gift to the world, otherwise known as Internet Exploder6, suffer no more. selectivizr will help with a few things anyway. Have you heard the one about No-idea, i mean Nokia and Microshaft getting together and combining (well, MS is giving Nookia a barelful of money anyway) their smartphone platforms? Yeap, same as adding 2 turkeys and expecting an eagle. This web site is for everyone who does web work. The site allows you to specify a number of criteria upon which the results will be based, such as brand, version(s) etc. See image below. the capability being compared and provide links to other relevant info. 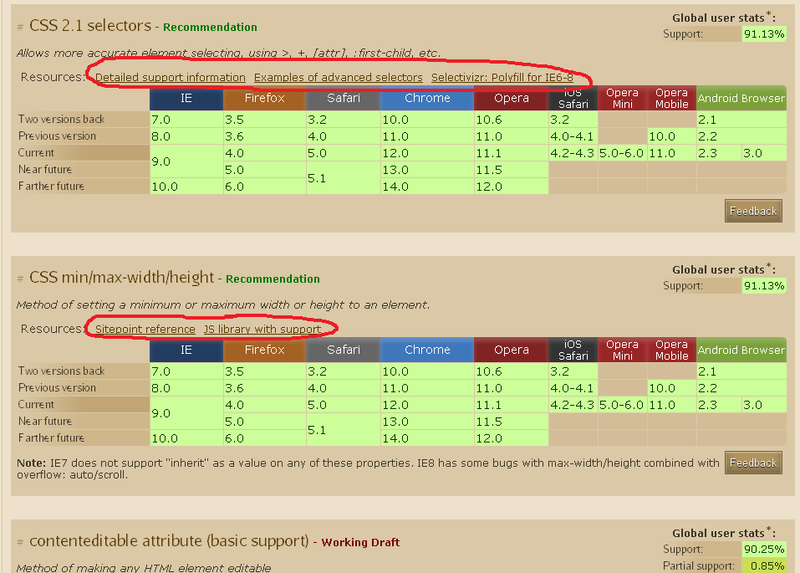 Sometimes they also point to workaround for IE6 etc. Remember, your gmail account is the gateway to many services which may contain confidential data! Jörg Walter has written a fantastic article on Go, the new Google programming language. His article has also been updated to reflect (quite a lot of) input from readers. Bitcoin is a virtual currency, designed to allow people to buy and sell without centralized control by banks or governments, and it allows for pseudonymous transactions which aren't tied to a real identity. In keeping with the hacker ethos, Bitcoin has no need to trust any central authority; every aspect of the currency is confirmed and secured through the use of strong cryptography. There just wasn't enough room in the title to say it all! One of the main issues a web developer is faced with, is to ensure that his (hers too!) 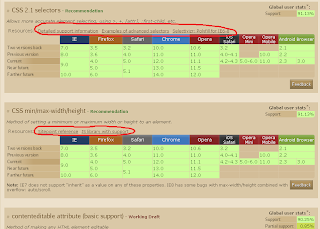 work renders correctly in all (most) of the browsers in use. Of course, there is always the wonderful browsershots.org, to which you can submit your URL(s) and it will show you what your page will look like any every single browser known to man! But if you wanted instant gratification, you could, say, install all 'other' browsers on your desktop and then pick one version of IE to work with. You could never use more than one. However, since the advent of 'virtual application' tools, such as VMWare's ThinApp and Xenocode, things have changed! You can now wrap up an app, such as IE6 (also known as Internet Embarassment or the curse of MS upon web developers) into a single EXE that is, in effect, a standalone application. And that is exactly what Xenocode have done. They have wrapped up Safari, Firefox, Chrome and IE6, 7 and8 into standalone EXEs which you can download and run, without having to install anything!!! And you can run all of the Internet Embarassment versions at once! [Update 6 june 2011] It all seems to have gone to the doghouse. The EXEs have long since been removed.